Mercedes-Benz ( [mɛʁˈtseːdəsˌbɛnts]) is a global automobile manufacturer and a division of the German company Daimler AG. The brand is known for luxury vehicles, buses, coaches, and trucks. The headquarters is in Stuttgart, Baden-Württemberg. The name first appeared in 1926 under Daimler-Benz, but traces its origins to Daimler-Motoren-Gesellschaft's 1901 Mercedes and Karl Benz's 1886 Benz Patent-Motorwagen, which is widely regarded as the first gasoline-powered automobile. The slogan for the brand is "the best or nothing" and Mercedes-Benz was one of the top growing brands in 2014 with 18% growth. Mercedes-Benz traces its origins to Karl Benz's creation of the first petrol-powered car, the Benz Patent Motorwagen, financed by Bertha Benz and patented in January 1886, and Gottlieb Daimler and engineer Wilhelm Maybach's conversion of a stagecoach by the addition of a petrol engine later that year. The Mercedes automobile was first marketed in 1901 by Daimler-Motoren-Gesellschaft. (Daimler Motors Corporation). Emil Jellinek, an Austrian automobile entrepreneur who worked with DMG created the trademark in 1902, naming the 1901 Mercedes 35 hp after his daughter Mercedes Jellinek. The first Mercedes-Benz brand name vehicles were produced in 1926, following the merger of Karl Benz's and Gottlieb Daimler's companies into the Daimler-Benz company. On 28 June 1926, Mercedes Benz was formed with the merger of Karl Benz and Gottlieb Daimler's two companies. Daimler coorporates with BYD Auto to make and sell a battery-electric car called Denza in China. In 2016, Daimler announced plans to sell Mercedes-Benz branded all-electric battery cars in China. Mercedes-Benz produces a range of vans; Citan (a rebadged version of the Renault Kangoo), Vito and Sprinter. Mercedes-Benz Trucks is now part of the Daimler Trucks division, and includes companies that were part of the DaimlerChrysler merger. Gottlieb Daimler sold the world's first truck in 1886. The first factory to be built outside Germany after WWII was in Argentina. It originally built trucks, many of which were modified independently to buses, popularly named Colectivo. Today, it builds buses, trucks and the Sprinter van. Until 1994, Mercedes-Benz utilized an alphanumeric system for categorizing their vehicles, consisting of a number sequence approximately equal to the engine's displacement in liters multiplied by 100, followed by an arrangement of alphabetical suffixes indicating body style and engine type. "E" (for "Einspritzung") indicates the vehicle's engine is equipped with petrol fuel injection. In most cases (the 600 limousine and Mercedes E-Class being the exceptions), if neither "E" or "D" is present, the vehicle has a petrol engine with a carburettor. "G" was originally used for the Geländewagen off-road vehicle, but is now applied to Mercedes SUVs in general (for example, the GLA and GLK). "K" was used in the 1930s, indicating a supercharger ("Kompressor") equipped engine. Two exceptions : the SSK and CLK, where K indicates "Kurz" (short-wheelbase). "S" Sonderklasse "Special class" for flagship models, including the S-Class, and the SL-Class, SLR McLaren and SLS sportscars. Some models in the 1950s also had lower-case letters (b, c, and d) to indicate specific trim levels. For other models, the numeric part of the designation does not match the engine displacement. This was done to show the model's position in the model range independent of displacement or in the price matrix. For these vehicles, the actual displacement in liters is suffixed to the model designation. An exception was the 190-class with the numeric designation of "190" as to denote its entry level in the model along with the displacement label on the right side of the boot (190E 2.3 for 2.3-litre 4-cylinder petrol motor, 190D 2.5 for 2.5-litre 5-cylinder diesel motor, and so forth). Some older models (such as the SS and SSK) did not have a number as part of the designation at all. For the 1994 model year, Mercedes-Benz revised the naming system. Models were divided into "classes" denoted by an arrangement of up to three letters (see "Current model range" above), followed by a three-digit (or two-digit for AMG models, with the number approximately equal to the displacement in litres multiplied by 10) number related to the engine displacement as before. Variants of the same model such as an estate version or a vehicle with a diesel engine are no longer given a separate letter. The SLR, SLS and GT supercars do not carry a numerical designation. Today, many numerical designations no longer reflect the engine's actual displacement but more of the relative performance and marketing position. Despite its engine displacement in two litres, the powerplant in the A45 AMG produces 355 brake horsepower so the designation is higher as to indicate the greater performance. Another example is the E250 CGI having greater performance than the E200 CGI due to the different engine tuning even though both have 1.8-litre engines. From the marketing perspective, E200 seems more "upscale" than E180. Recent AMG models use the "63" designation (in honor of the 1960s 6.3-litre M100 engine) despite being equipped with either a 6.2-litre (M156), a 5.5-litre (M157) or even a 4.0-litre engine. Model designation badges can be deleted at the request of the customer. Mercedes-Benz has developed multi concept cars with alternative propulsion, such as hybrid-electric, fully electric, and fuel-cell powertrains. At the 2007 Frankfurt motor show, Mercedes-Benz showed seven hybrid models, including the F700 concept car, powered by a hybrid-electric drivetrain featuring the DiesOtto engine. In 2009, Mercedes-Benz displayed three BlueZERO concepts at the North American International Auto Show. Each car features a different powertrain - battery-electric, fuel-cell electric, and gasoline-electric hybrid. In the same year, Mercedes also showed the Vision S500 PHEV concept with a 19 miles (31 km) all-electric range and CO2 emissions of 74 grams/km in the New European Driving Cycle. In the United States, Mercedes-Benz was assessed a record US$30.66 million fine for their decision to not meet the federal corporate average fuel economy standard in 2009. Certain Mercedes-Benz cars, including the S550 and all AMG models sold in the United States, also face an additional gas guzzler tax. However, newer AMG models fitted with the M157 engine will not be subject to the gas-guzzler tax, due to improved fuel economy, and newer models powered by the M276 and M278 engines will have better fuel economy. In 2008, Mercedes also had the worst CO2 average of all major European manufacturers, ranking 14th out of 14 manufacturers. Mercedes was also the worst manufacturer in 2007 and 2006 in terms of average CO2 levels, with 181 g and 188 g of CO2 emitted per km, respectively. Mercedes-Benz Accessories GmbH introduced three new bicycles in 2005, and the range has developed to include the patent pending Foldingbike in 2007. Other models include the Mercedes-Benz Carbon Bike, Trekking Bike, Fitness Bike and the Trailblazer Bike. Mercedes-Benz took part in the world championship in 1954 and 1955, but despite being successful with two championship titles for Juan-Manuel Fangio, the company left the sport after just two seasons. Fangio is considered by many to be the best F1 driver in history. Mercedes-Benz returned as an engine supplier in the 1990s and part-owned Team McLaren for some years, to which it has supplied engines engineered by Ilmor since 1995. This partnership brought success, including drivers championships for Mika Häkkinen in 1998 and 1999, and for Lewis Hamilton in 2008, as well as a constructors championship in 1998. The collaboration with McLaren had been extended into the production of roadgoing cars such as the Mercedes-Benz SLR McLaren. In 2009, Ross Brawn's newly conceived Formula One team, Brawn GP used Mercedes engines to help win the constructor's championship, and Jenson Button to become champion in the F1 drivers' championship. At the end of the season, Mercedes-Benz sold its 40% stake in McLaren to the McLaren Group and bought 70% of the Brawn GP team jointly with an Abu Dhabi-based investment consortium. Brawn GP was renamed Mercedes GP for the 2010 season and is, from this season on, a works team for Mercedes-Benz. As of 2016, the company currently provides engines to the Williams F1 Team, Sahara Force India F1 Team and the Manor Racing F1 Team. In 2014, Mercedes clinched its first F1 Constructor's title with drivers Lewis Hamilton and Nico Rosberg with 3 races to go, after dominating much of the season. Mercedes repeated its dominance in 2015 in similar fashion, losing only 3 races out of 19 once again. Mercedes yet again dominated in 2016, losing only 2 races out of 21. In June 1909, Daimler-Motoren-Gesellschaft (DMG) registered both a three-pointed and a four-pointed star as trademarks, but only the three-pointed star was used. 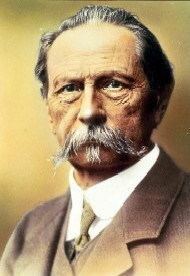 To DMG, the star symbolized Adolf Daimler's aims for universal motorization: on land, water and in the air. Electronic Stability Programme (ESP), brake assist, and many other types of safety equipment were all developed, tested, and implemented into passenger cars – first – by Mercedes-Benz. Mercedes-Benz has not made a large fuss about its innovations, and has even licensed them for use by competitors – in the name of improving automobile and passenger safety. As a result, crumple zones and anti-lock brakes (ABS) are now standard on all modern vehicles. The (W211) E320 CDI which has a variable geometry turbocharger (VGT) 3.0-litre V6 common rail diesel engine (producing 224 hp or 167 kW), set three world endurance records. It covered 100,000 miles (160,000 km) in a record time, with an average speed of 224.823 km/h (139.70 mph). Three identical cars did the endurance run (one set above record) and the other two cars set world records for time taken to cover 100,000 kilometres (62,137 mi) and 50,000 miles (80,000 km) respectively. After all three cars had completed the run, their combined distance was 300,000 miles (480,000 km) (all records were FIA approved). In the 1980s, Mercedes built the world's first robot car, together with the team of Professor Ernst Dickmanns at Bundeswehr University Munich. Partially encouraged by Dickmanns' success, in 1987 the European Union's EUREKA programme initiated the Prometheus Project on autonomous vehicles, funded to the tune of nearly €800 million. A culmination point was achieved in 1995, when Dickmanns' re-engineered autonomous S-Class Mercedes took a long trip from Munich in Bavaria to Copenhagen in Denmark, and back. On highways, the robot achieved speeds exceeding 175 km/h (109 mph) (permissible in some areas of the German Autobahn). In October 2015, the company introduced the Vision Tokyo, a five-seat self-driving electric van powered by a hybrid hydrogen fuel-cell system. The super-sleek van is touted as "a chill-out zone in the midst of megacity traffic mayhem." Several companies have become car tuners (or modifiers) of Mercedes Benz, in order to increase performance and/or luxury to a given model. AMG is Mercedes-Benz's in-house performance-tuning division, specialising in high-performance versions of most Mercedes-Benz cars. AMG engines are all hand-built, and each completed engine receives a tag with the signature of the engineer who built it. AMG has been wholly owned by Mercedes-Benz since 1999. The 2009 SLS AMG, a revival of the 300SL Gullwing, is the first car to be entirely developed by AMG. There are numerous independent tuners including Brabus, Carlsson, Kleemann and Renntech. In football, Mercedes-Benz sponsors Germany National Football Team. Mercedes-Benz sponsors Bundesliga club VfB Stuttgart and provides the naming rights for their stadium, the Mercedes-Benz Arena. The company also holds the naming rights to the Mercedes-Benz Superdome in New Orleans, Louisiana. On 24 August 2015, Mercedes-Benz was announced as the naming rights sponsor for the Atlanta Falcons' new home Mercedes-Benz Stadium, (Mercedes-Benz moved their US headquarters to the Atlanta area) scheduled to open in 2017.